Camilla Royle is a graduate student in geography at King’s College London, and the deputy editor of International Socialism. 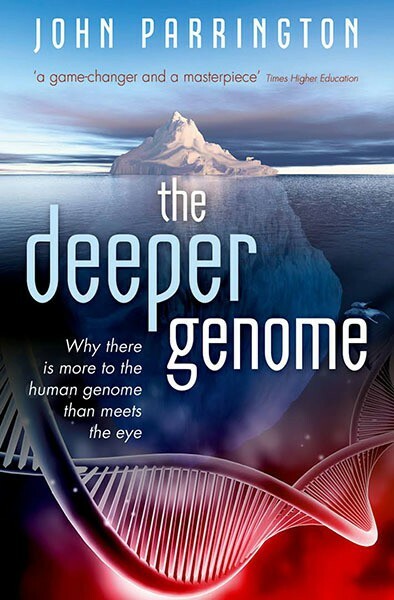 John Parrington, The Deeper Genome (Oxford: Oxford University Press, 2015), 272 pages, $19.95, paperback. John Parrington’s book The Deeper Genome breaks new ground in establishing a materialist understanding of how the genome works. Most popular science books on genetics have dealt with the genetic code, focusing on the information contained in our genes and the physical or personality traits this information might “code for.” Parrington instead turns his attention to the molecules that form our genomes, uncovering new research and assessing its implications for the way we think about genetics. The book’s first few chapters discuss the history of genetics, starting with Gregor Mendel’s pioneering experiments with peas that first demonstrated the rules of inheritance. Offspring often inherit a characteristic from one or the other of their parents rather than being born with attributes or traits at the mid-point between those of their parents. In humans, for example, it is possible for two brown-eyed parents to have a blue-eyed child if both parents have a recessive gene for blue eye color. Eye color is not simply a mixture of that of the parents. Mendel’s insights, combined with the theory of evolution, formed the modern synthesis, establishing in the minds of future generations of biologists that genes are discrete and fixed entities passed down from parent to offspring. Later experiments established that genetic information is stored in DNA in the cell nucleus, that this molecule is made up of four bases that spell out a code, and that different codes lead by a complex process to the production of different proteins in the cell. As Parrington points out, the image of the DNA molecule as “the blueprint of life” is so familiar to us now that “it’s easy to forget how resistant biologists were to this idea at first” (25). DNA was originally thought of as a boring molecule, serving no purpose other than perhaps acting as a kind of biological scaffolding, providing some structural stability to the cell. Parrington’s history of genetics will provide an accessible introduction for readers without a background in biology and a useful refresher course for those who have studied the subject. His accounts of the scientists involved add color to the narrative. For example, he mentions Science for the People member Jonathan Beckwith, who donated the prize money from his 1969 Eli Lilly Award for microbiology to the Black Panther Party (52). Parrington devotes a chapter to Barbara McClintock’s pioneering work on so-called “jumping” or transposable genes—elements of the genome that appear to move to different positions in the space of a few generations. McClintock’s work was contentious at the time, for decades after she discovered jumping genes in the 1940s, they were assumed to play very little role. But more recent evidence has shown that jumping genes comprise up to 50 percent of the human genome, and are vital to gene regulation. As a woman growing up in the early twentieth century, McClintock might never have had a scientific career at all, let alone gone on to win a Nobel Prize, as she did in 1983. Her mother tried to prevent her from going to college, thinking it would make her “unmarriageable” (113). Parrington also cites “one of science history’s most glaring injustices,” the use of Rosalind Franklin’s data without her knowledge to deduce the structure of DNA, detailing how the sexist attitudes of many of the scientists she worked with left Franklin marginalized (30). The book’s central premise is that the genome is much more complex than had previously been supposed. A small proportion of the genome consists of genes, sections of code that specify the production of different proteins. However, a lot of the human genome appears to be made up of long sections of “junk” DNA, often with the same bit of code repeated over and over, that initially seemed to serve little purpose. This “junk” was discovered in the 1960s, in an elegant experiment: a chromosome contains two long strands of the DNA molecule bound together in the familiar double helix shape. Every nucleotide base on one strand has a complementary base on the other that it binds with: adenine always pairs up with thymine, and cytosine with guanine, and so on. Heating up the DNA breaks apart the double helix, and it is possible to measure the length of time it takes for the strands to re-associate as the DNA cools. When this experiment was first carried out, the strands of the molecule came together much faster than expected. This is because the code contains lots of short, repetitive sequences; the section of code on one strand can easily “find” a similar but complementary code on another strand—although, like a misbuttoned shirt­, it may not be the exact section it was originally paired with. Up to 98 percent of the human genome consists of this so-called junk DNA; if the genome were a book, Parrington notes, each chapter would contain “only a paragraph or so of meaningful text, interspersed by pages of gibberish” (66). However, recent research has profoundly challenged the notion that “junk” DNA has no role. In particular, the ENCODE (Encyclopedia of DNA Elements) project has yielded a number of important findings. First, some junk DNA, although it does not ultimately specify the production of a protein, does seem to code for RNA. This molecule, with a similar structure to DNA, has generally been thought of as an intermediary between DNA and proteins: DNA codes for RNA, which then goes on to code for a protein. This is the “central dogma” of Francis Crick, one of the co-discoverers of the double helix structure. However, findings from ENCODE suggest that some 80 percent of the genome is responsible for the production of RNA. This plays a functional role in the cell nucleus, while also acting as an intermediary. Secondly, sections of the genome, including some previously seen as junk, are thought to act as “switches” playing a regulatory role; although these are not protein-coding genes in themselves, they are often located close to genes on the DNA strand. Proteins binding to these switches can turn the nearby genes on and off at different times where appropriate. There are thought to be around 4 million such switches in the human genome, and only 22,000 genes (91). Thirdly, the genome is a three-dimensional entity, and may be more dynamic than previously supposed. It is easy to imagine a chromosome as one long, straightened-out chain of bases. However, most of the time it is in fact coiled around proteins and tightly packaged inside the cell nucleus, with some elements nearer the outside and others effectively hidden away. Initial research suggests that this 3D structure of DNA places certain genes, at certain times, within easy reach of the apparatus in the cell that transcribes them (107). All of this implies that it is too simplistic to see the genome merely as a chain of bases that form a code. It can also be understood as a physical structure that interacts with its cellular surroundings in complex ways. Gene activity can be altered by changing the way gene expression is regulated, for example by switching a particular gene on or off—an effect influenced by the particular chemicals attached to the surface of DNA, collectively referred to as the epigenome—as well as by changing the DNA sequence itself. It is now also thought that these epigenetic effects can be passed down to future generations, although whether this occurs in humans remains controversial. Since epigenetic effects can be triggered by changes to an organism’s external environment, the question arises of whether the influence of our environment can be transmitted to our offspring. Indeed, this seems to have been the case when pregnant women in the Netherlands were exposed to famine conditions during the Nazi blockade in 1944–45. Women who were at the end of their pregnancy during the famine unsurprisingly gave birth to babies with a lower birth weight. But remarkably, their grandchildren also had low birth weights, despite the fact that the original environmental stress had been removed (129–31). Epigenetics may mean that humans and other organisms can adapt to a changing environment much more quickly than would be expected if the only process involved was natural selection, in which the genetic code would change gradually, over many generations. But as suggested by the case of the Dutch famine, this relatively rapid adaption may not be positive, in the sense of promoting or maintaining individual health. The “nature versus nurture” debate is about whether genetics or the environment has a greater effect on attributes such as human intelligence. However, Parrington’s book suggests that this is a false choice. It is not nature or nurture but rather the interaction between genes and the environment that is most relevant as the environment can also itself have an effect on the genome. As Parrington argues, “the old division between nature and nurture appears far more fluid than previously suspected” (173). Parrington further suggests that new discoveries about the genome in the last decade have sparked a qualitative shift in the way biologists think about genetics (201). He argues that an approach based on reductionism, trying to understand complex systems by first analyzing their constituent parts, may have played an important role in biology and medicine thus far, but is now reaching the limits of its explanatory power. We need the conceptual tools to make sense of a system like the genome, including the epigenome. Its functional role and emergent properties are inexplicable by studying its individual parts. As Parrington explained in the British Socialist Worker newspaper, these new discoveries about previously dismissed “junk” DNA may also give us insights into what makes us human.1 We share 99 percent of the same genes as chimpanzees—what makes us so different? The answer may lie in the actions of the rest of the DNA sequence, the parts that are not genes. However, trying to displace the explanation for human-animal difference onto the epigenome risks the same reductionism that attributes all human difference to genetic variations; this tendency is still deeply rooted in molecular biology. As Parrington himself points out, Engels, in “The Part Played by Labour in the Transition from Ape to Man,” developed his own perspective, based on his knowledge of the science of his time.2 Engels supposed that as humans began to walk upright this allowed them to use their hands to wield tools, tool use in turn facilitated the development of culture, language and large brains. So the distinction between humans and other animals emerged as a consequence of reciprocal interactions between early humans and their immediate environments. 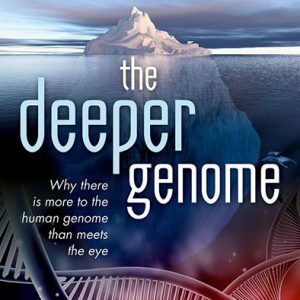 The Deeper Genome provides a first-hand account of the latest controversies in molecular biology. As a biologist himself, Parrington is well placed to do this, but he also makes the debates around the human genome accessible to a non-specialist reader. The book is highly recommended for anyone seeking a deeper understanding of this fiercely contested and often misunderstood topic. ↩Dave Sewell, “Delving Deep into Our Genes—the Revolution in Molecular Biology,” Socialist Worker , May 12, 2015, http://socialistworker.co.uk. ↩Frederick Engels, The Part Played by Labour in the Transition from Ape to Man (Moscow: Foreign Languages Publishing, 1963). ↩See and Richard Levins and Richard Lewontin, The Dialectical Biologist (Cambridge, MA: Harvard University Press, 1985). ↩See Richard Lewontin, The Doctrine of DNA: Biology as Ideology (London: Penguin, 1993).